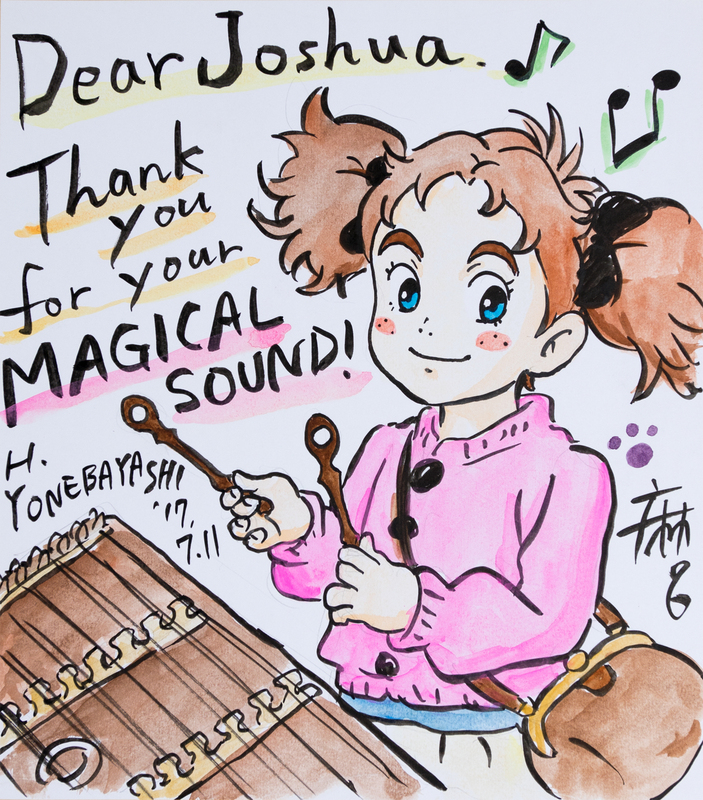 Joshua Messick played hammered dulcimer on the soundtrack of Mary and the Witch’s Flower. His performance is woven throughout the score. He appears on 20 of the 26 tracks. This featured animated film is the first work created by Studio Ponoc based in Tokyo, Japan. They are the continuation of the legendary Studio Ghibli which is known for classics such as My Neighbor Totoro, Princess Mononoke, Spirited Away, and Howl’s Moving Castle. Soundtrack music is what I listen to the most. I love it! I was 10 years old when I began dreaming of playing on a movie soundtrack. While practicing, I would often envision myself surrounded by an orchestra recording on a film score. I feel this is why my style developed with a flare for the cinematic. The hammered dulcimer has an ethereal, ancient sound. It can take us to a place of peace, but it can also be powerful and exciting. It has many colors, making it a perfect instrument for soundtrack music. Mr. Takatsugu Muramatsu composed music that displays the strengths of the hammered dulcimer. There are many passages with driving percussive energy, but also whimsical and mysterious phrases. He used the entire five-octave range of my instrument. While reviewing the score, I kept on saying “this is amazing music”! I could feel the music come alive inside of me with a personality and spirit. Studio Ponoc brought me to Tokyo to record. It was my first visit to Japan, and I was given the absolute best care. I met many amazing people and enjoyed my visit! I worked closely with the composer, Mr. Takatsugu Muramatsu. He is genuinely friendly and humble, and he expressed his enthusiasm for my performance on his film score. It was encouraging to receive his support. I was also introduced to the Academy Award-nominated director, Mr. Hiromasa Yonebayashi, and producer, Mr. Yoshiaki Nishimura. They were very kind and said they enjoyed listening to my CDs and YouTube channel. I understand that it was the director’s vision to feature the hammered dulcimer on the film score. Mr. Yonebayashi said he wanted to share the hammered dulcimer with the world. He also designed the wand of the character Flanagan after my dulcimer mallets. To my knowledge, Mary and the Witch’s Flower is the first featured film to highlight the hammered dulcimer in a significant role. I hope this soundtrack music helps many people appreciate the art of hammered dulcimer music. A special thank you to Studio Ponoc for making my dream of playing on a movie soundtrack come true. This is a memory I will treasure forever.